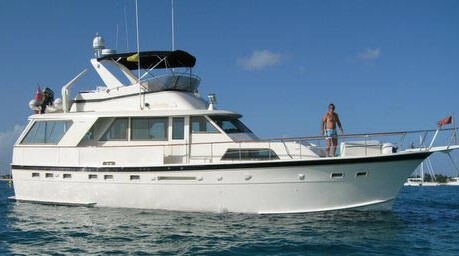 “Analisa” is a magnificent 60 foot Hatteras motor yacht available for charter in the Virgin Islands of the Caribbean. 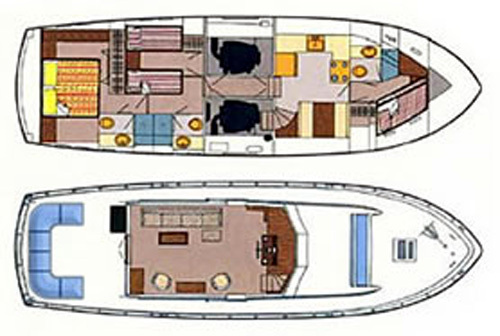 Motor Yacht Analisa can accommodate up to four adults and two children in three comfortable cabins. 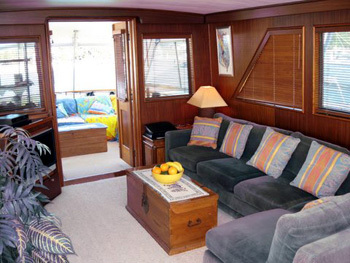 Her large saloon opens onto a spacious aft deck area which gives Analisa more living space than any other vessel of this length. 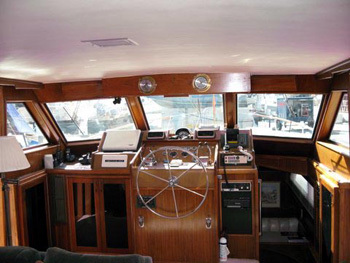 Fully air conditioned throughout her interior and comfortable year round her hand crafted wood finished details gives an elegant and serene interior. 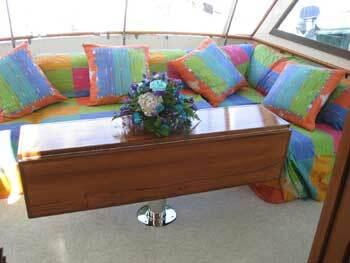 Analisa is fully equipped with DVDs, CDs and a Bose sound system for her guests entertainment. Internet is also available for those that need to stay in touch with the office while on vacation. 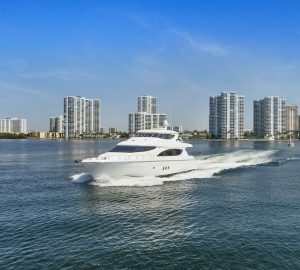 Her ample aft deck area gives the opportunity to relax in comfort, and dine under the stars, one of the true pleasures of this style of vacation. 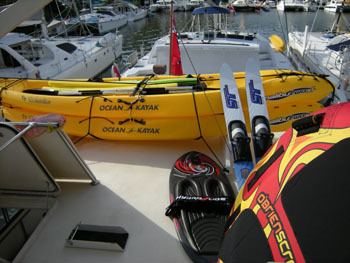 Her vast array of toys gives guests the chance to try out all water sports and provides fun and entertainment for all the family, ensuring that even the most active teenager is completely entertained. 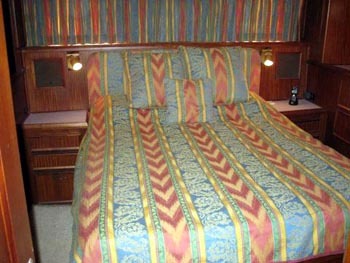 Each guest cabin has en suite bathroom facilities with enclosed shower stalls. Large closets and high quality Egyptian cotton sheets ensure guest comfort. 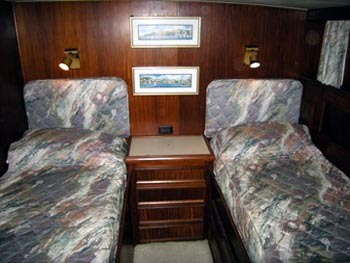 A TV and DVD are also provided in each cabin. 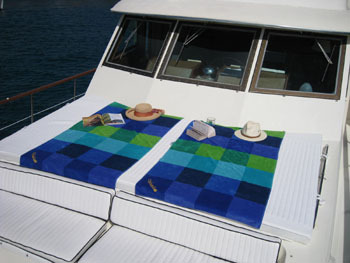 Captain Peter and First Mate/ Chef Ruth have many years of experience running yachts. 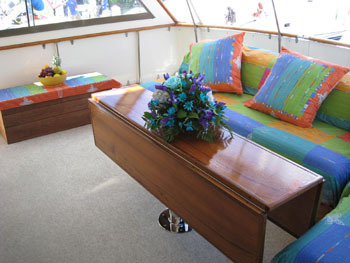 Captain Peter has spent over ten years entertaining guests on yachts all over the world. Ruth has spent over ten years working and cooking on yachts looks forward to delighting you with the freshest and best ingredients prepared just the way you like it at every meal! 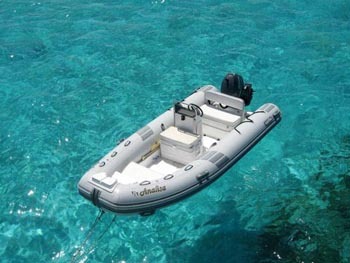 Analisa has Sea Kayaks, 2 Dinghies with one 60 hp and one 30hp outboard engine, Water skis for children and adults, The Screamer, Kneeboard, Noodles, Floating mattresses, Snorkels, Masks and fins. 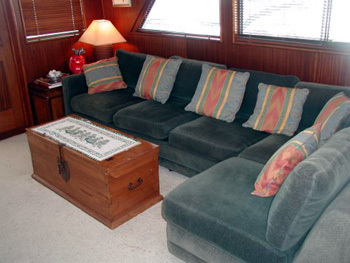 For the quieter moments, Board games, Cards, Over 300 DVDs, CD's, Book library, Internet access.